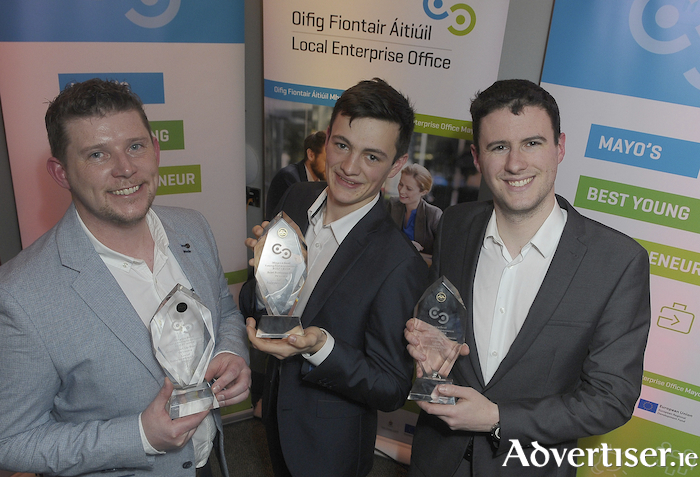 Young entrepreneurs in Mayo are being encouraged to enter Ireland's Best Young Entrepreneur 2019 competition, which has just been launched - as they stand as good a chance as anyone to win. Urging young Mayo entrepreneurs to get involved, Head of Enterprise with the Mayo Local Enterprise Office, John Magee stated: “It could be you!” , adding: "We’re looking for dynamic, innovative young business people to enter the Ireland’s Best Young Entrepreneur 2019 competition in Mayo. Who knows, you might make it all the way to the National Final in Google in September." But it’s not all about the National Finals as Magee explained: "We know from past participants that the real value for them is in being part of the process. Taking part in Ireland’s Best Young Entrepreneur challenges young business people to stop and really focus on where their business is now and where they can take it. "The business planning, mentoring, advice and support they receive during the process is really valuable. They tell us that being part of IBYE helps them to build a network of fellow entrepreneurs and they often become trusted friends and advisors to each other. Finally, IBYE is often their first experience of getting media exposure, which is a really important in building profile." "The Local Enterprise Office is the first port of call for anyone in business, no matter what age they are. Hosting Ireland’s Best Young Entrepreneur each year allows us to connect with young entrepreneurs and explain to them the services and supports available to them to help accelerate their business growth. Hosted by the Local Enterprise Offices around the country, the competition is staged in conjunction with the Dept. of Business, Enterprise and Innovation, Enterprise Ireland and the Local Authorities of Ireland. Now in its fifth year, this nationwide competition invites 18 to 35-year-olds who have a business idea, a start-up or an already established business to enter. Magee concluded: "We are looking forward to receiving applications from young entrepreneurs for the 2019 competition and to meeting them at Enterprise Day. Apply now by visiting www.IBYE.ie The closing date is Friday, March 15, but why wait? Get your application in today."